Dimitri Bellos, Restaurant Manager, The Fat Duck, a 3 Michelin Star restaurant. Dimitri is the Restaurant Manager at the Fat Duck. 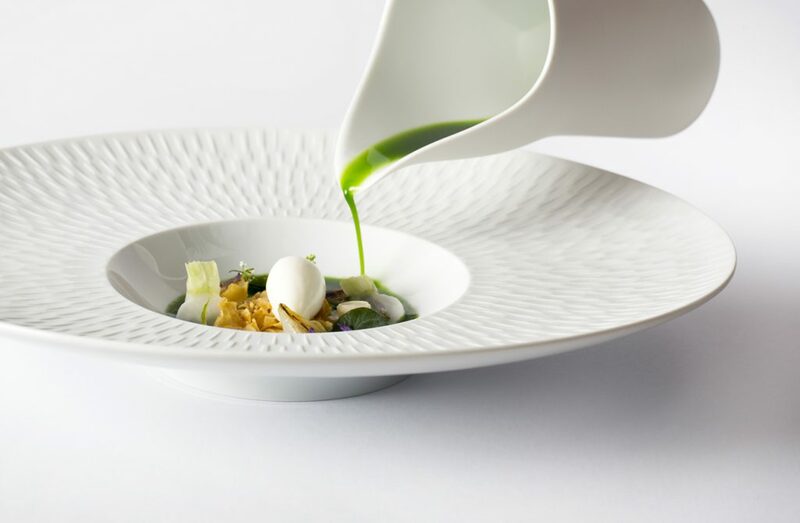 The Restaurant currently holds 3 Michelin stars and is part of the Fat Duck group fronted by Heston Blumenthal. 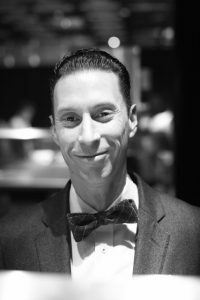 Dimitri has been with the company for over 2 years; prior that he was Restaurant Manager at Marcus Wareing at the Berkeley. He is very passionate about the service and experience provided to all his guests. Dimitri Bellos grew up working in his family restaurant in Corfu. He sidetracked onto an IT course at Trinity College Dublin, but went on to work as assistant restaurant manager at five-star hotels such as the Dylan and the Morrison. In 2008, Dimitri moved to London and became Head Waiter at Marcus Wareing at the Berkeley. Within 15 months, hard work saw him promoted to Assistant Restaurant Manager, and a year later he was appointed Restaurant Manager. Dimitri has subsequently reorganised the team, managing without Receptionists and Commis Waiters and preferring instead to develop employees by sharing the roles among them. Why and how did you choose Restaurant Management? It’s best to start with telling you about my background – I was born in London and raised in Corfu. My father is Greek and my mother is Irish. When I was 14 my parents opened a restaurant in Corfu and that’s where it started. Every summer from the age of 17 I would work in my parents’ restaurant, and this was probably the best ‘schooling’ in terms of learning the business. My parents had no experience of running a restaurant, just cooking amazing food, so it was all a learning curve for us. They had a great eye for detail. They pretty much left me to run the restaurant, with 35-40 covers outside in the summer season. After school, I started to study Computer Programming in Ireland. At the same time, in Dublin, I was working in cafes and restaurants to fund my studies. So I always kept in touch with the business. I learnt a lot. I observed on television how restaurants were run and taught myself. I was working in the Morrison Hotel in Dublin – I worked there as a Head Waiter initially, then they were having a restructure of the restaurant and were looking for a Restaurant Manager, as they didn’t have one before. I put hand up and said I would like to do it – I thought I had enough experience. And I enjoyed it! I realised a career in hospitality was something I should look into a bit deeper. I started looking into Michelin-star restaurants; what and who they are, where they were, how do they work – and going to eat out a lot. After trying to introduce some elements into the hotel, I realised that if this was what I wanted to do, I would have to work with some of the best people around. In Dublin, at the time, there were only 4 Michelin-star restaurants, and they were very hard to get into. I thought – I would have to be in London. A friend told me that a new hotel had just opened in Dublin, still boutique but five star with a very good restaurant, The Dylan Hotel – Michelin level. I tried it out for a year before I moved to London. The category of the people was just greater. It was great preparation for when I moved to London. My first move in London was to Marcus Wareing at The Berkeley, where I was Head Waiter for three years before I became Restaurant Manager. I suppose I chose to be Restaurant Manager at a high level because it was natural – it was in my blood. So to come back to the original question – I chose the restaurant job, but it also chose me! How do you begin a normal day at work? I work a fair few hours! I begin the day between 9 and 10, and from Tuesday to Friday we have restaurant management meetings with my team. We might have meetings about projects, operations, concepts in the restaurants and even food tastings; chats about the future of the business. I then catch up on all my emails. At around 11, we have ‘family lunch’, where we all sit down together and eat. Lovely fresh food – pizza is a favourite. Now that it’s summer, we have ice cream every day! We then go back to the restaurant, have a quick meeting – we may go through small notes about the coming service, a special guest perhaps, or something specific may have happened last service. Also we make sure that everybody is aware of any changes that may be in place. Then we have service, which usually lasts from 12 until about 6. I’m in the restaurant most of the time, until about 5 or 6 o’clock. It’s a pretty long service, so by that time, we are all ready to eat again, and sit down between 6 and 6.30. Then we go back and have a short meeting before second service begins again at 7. 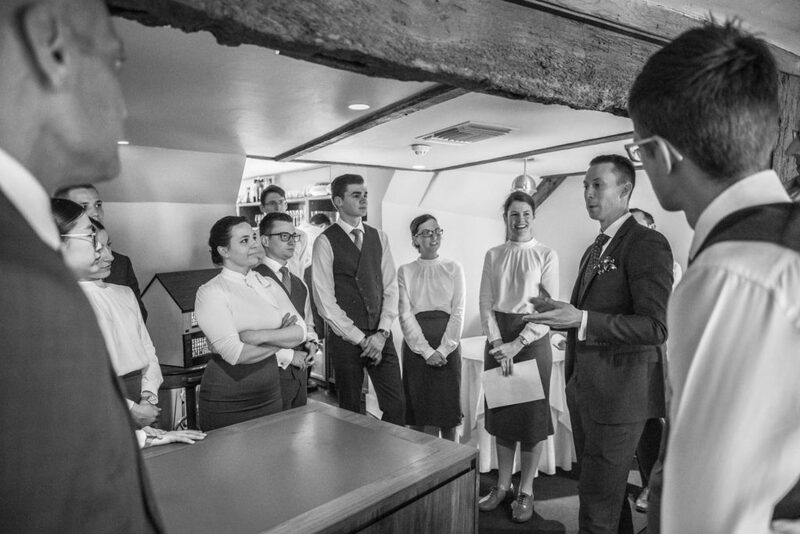 Usually during this service, depending on the team, I may be putting in food orders, handing out bills, helping the team with service, and generally talking to the chef about any issues – but mainly making sure the guests are having the best experience they can. Sometimes I am lucky and get involved in other elements of the business – yesterday I had a coffee tasting in Bristol. The coffee was from Panama; I went to Panama in February for 4 days and Honduras for 2 days on a coffee tasting trip. Coffee is an important element of what we do now; so we tasted some wonderful samples of the coffee that I had tasted on my trip at a coffee roaster in Bristol. How many hours do you spend at the restaurant each day? I’m not sure I should say in case I scare people! But personally, I don’t leave before 2am. It’s normal for me, but this is not same for everyone else! Of course I would love to work fewer hours, we all would. I am lucky and have Sundays and Mondays off. This I didn’t have before at Marcus Wareing. Yes, it’s a very long day for me. Are you the last person to leave every night? Yes most of the time. Because I have a junior assistant, and a restaurant manager in training now, they would close down the restaurant. I personally will say goodbye to the last guests, do the cashing up, do all the figures and then when the guys are ready, they will call me over and let me know that they are closing down. I make sure everything is done and in order, then I will lock the restaurant and will then continue with my own work – emails, projects that I am working on etc. Well yes, but I changed my lifestyle a few years ago to suit the job. I would advise anyone who wants to pursue a career in hospitality to do the same; to take care of themselves. I don’t smoke, I don’t drink, I’m very cautious about what I eat and when I eat it, I exercise a lot – I go to the gym, I do yoga, I play tennis. So I’m always active on my days off. I think because I lead a healthy lifestyle, I have that extra 5 or 10% to keep on going. It keeps me more focused, more motivated and less tired. Hospitality jobs are challenging physically and mentally. There are moments when you have to be very strong, for you and for your staff. How do restaurants in the UK compare to those abroad? You can’t really compare. In Greece, although it may have changed in the big cities, food is now viewed differently everywhere over there. It’s an intricate part of life out there. Growing up in a small fishing village in Corfu, you learn that most important meetings, or important moments in life take place in the kitchen. So food is very important, and mainly family dishes and family recipes. Ingredients that are fresh and that you can see in front of you. In restaurants, it’s more about simplicity – now things have changed, service has changed, presentation has changed. Having lived in London for over eight years, having lived in Dublin, and travelled quite a bit, I believe that London has a very exciting food scene. It is the best in the world. The variety that you can find in London, and the quality of restaurants is unbelievable. We are lucky – and it only seems to get better. However, in terms of service I think there is a lot more that can be done to attract new people. How important are Michelin stars? I think that being in that environment, there is a lot of enjoyment, a lot of joy that comes with it – for me it is very important. I do think that there is something very special that comes with it; the story, the background, the work and effort that goes into gaining one. At the moment I couldn’t see myself out of this environment – probably at some point I will, I might, I don’t know. I would be very hard pressed to actually leave. 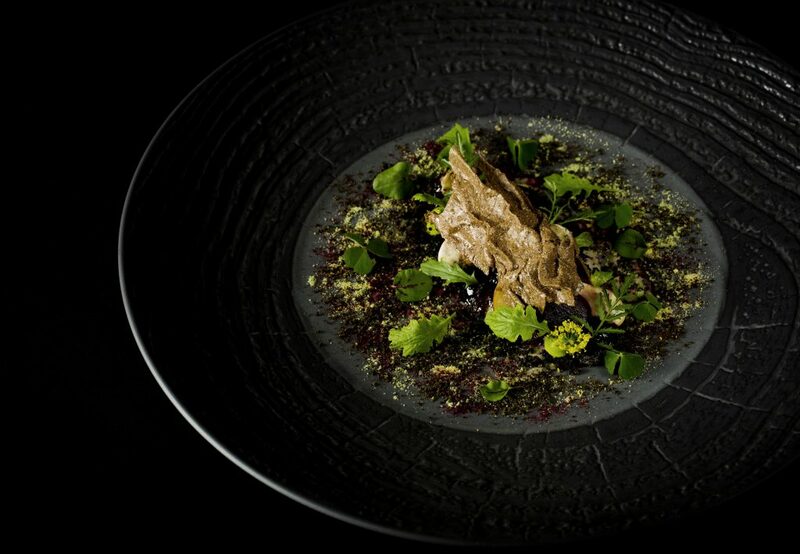 For me it is very important and the glory that comes with the Michelin star is great. When I went into this career in hospitality, it was because of my history; the food I had seen, the position, the style, that everyone worked as a team – as we do here but even more, even better. It’s the whole environment. How do you select your staff? Is there pressure because of your Michelin star level? We always look actively; when we look at CVs we tend to not look at where they have worked, but where they are going and if they are moving forward with their career in hospitality. You want to see signs of someone who shows that he or she knows what they want to do; that they have a path and are looking for something new. We don’t necessarily look at people that have worked at the same level, just have an understanding of the level that we are looking for. Personality is very important in a restaurant like this. Someone who is willing to learn, to move on and improve with the restaurant; and with that take on the ethos of the restaurant, and be interested in the restaurant. Do you spend a lot of time training your staff? Yes – mostly we share the training; a lot happens in work and in service. I try to put ideas forward, challenges to be taken on – we always try to get everyone involved so that they can learn from each other and improve. We have a team of management to learn from – we try and get everyone to participate. What do you love most about your job in hospitality? Currently I am very fortunate to work in a restaurant that gives me the opportunity to go places, to learn about people, things and places. To taste, to listen to things that most of us that are in this business wouldn’t usually get the chance to do. To be able to travel to Central America to learn about coffee, to have a company that says: ‘yes feel free to go’ – and bring back coffee and share with the team. To be part of a company that says: ‘yes let’s do it’. That’s pretty special. On one level I’m lucky to work with a great ‘family’ and a great company that allows individuals to improve and gives great opportunities, and I am also fortunate that to work at this level you are working with others that want the same thing. We don’t take anything for granted that the talent is around us; you start to think what would happen if I moved elsewhere, and then you realise how difficult it is to surround yourself with such talent. The most important element of a career in hospitality is that every day you are given the opportunity to make people happy. An experience that someone can take away with them for years and will make a difference to their lives hopefully! To help create a cherished memory for those people for years down the line; that’s pretty magic.